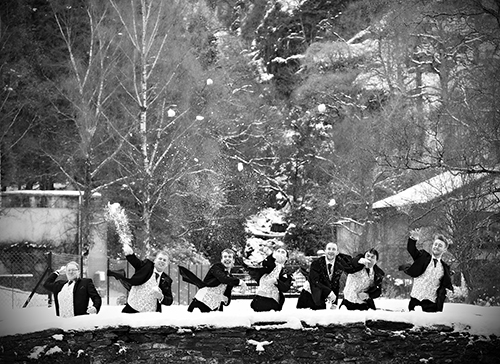 Lodore Falls Hotel and Spa Sales Manager, Georgina talks us through the top 9 reasons to book a winter wedding. 1. It’s the most magical time of year! Feast on free-range Cumbrian turkey with pigs in blankets, goose-fat potatoes and all of the trimmings or tuck into an evening banquet of roasted honey and orange ham with sourdough baps and a host of accompaniments. Not to mention the desserts – our tempting trio of desserts includes; Christmas pudding laced with brandy and sherry, tangy lemon tart and chocolate ganache with Chantilly cream and pistachio crumb. Heavenly. 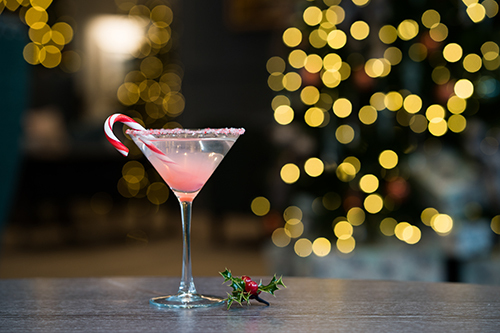 Kick off your drinks reception with something festive, perhaps a mulled wine, winter Pimm’s, Amoretto fizz or a Christmas Cosmo! Imagine your picture backdrop of snow topped mountains standing on our lakeside jetty. Bring your white wellies and head to our famous waterfall, Lodore Falls, where you can capture unique photographs that will last a lifetime. Planning that dream wedding can be more affordable in winter months where your venue and supplier can offer low season rates. 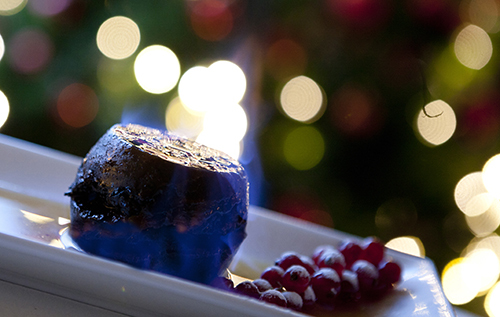 Our Christmas package start at just £4250 for 50 guests and has lots of wonderful inclusions! Take a look at our weddings brochure to find out more. 6. Romantic fires & twinkling candles. 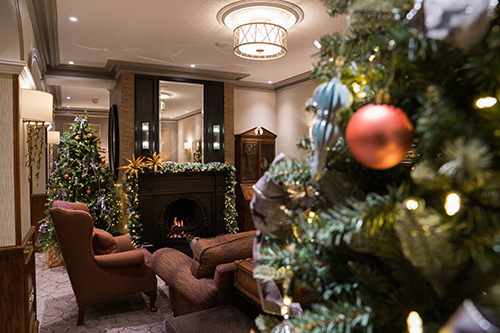 Cosy up in front of the roaring fire in our lounge with a night cap on the big day. Decorate your tables with sparkling crystals and candlelight to create a romantically magical atmosphere. Let’s face it, this is the Lake District. Winter weather can happen anytime of the year and a July downpour is much more upsetting. Get ahead of the weather by booking your winter wedding. 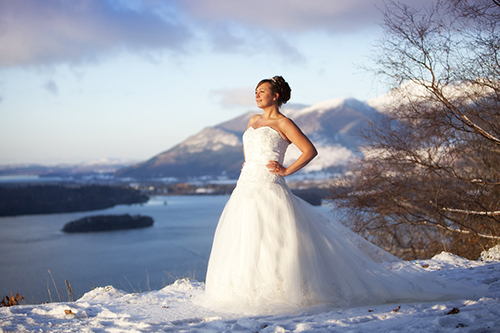 You may even be lucky enough to have a beautiful snowy backdrop for your big day. Choosing a winter wedding date may ensure better supplier availability which means you can lock in your dream photographer! We’re here to help with your supplier needs and have a carefully selected list of all the best local suppliers to make your perfect day a reality. You can go anywhere you wish at any time of the year, but flying into the Maldives or Bahamas from December is their peak season and will offer you the best weather! Perfect to contrast the winter magic of your big day. Our next wedding fair takes place on 3rd February 12-4pm. 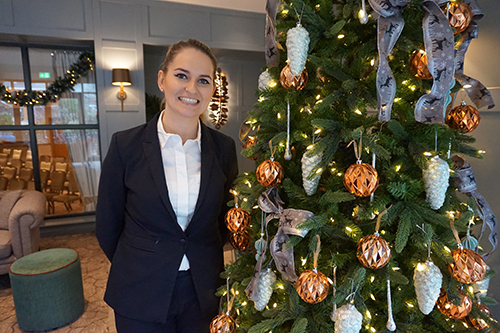 With free entry, it’s the perfect opportunity to explore our luxury venue, brand new Falls Spa and get expert help and advice from Georgina and her team. We still have a limited number of dates for 2019 available at Lodore Falls Hotel and Spa. 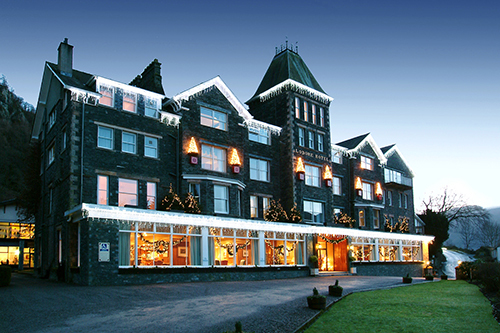 « What’s on in the Lake District at Christmas?